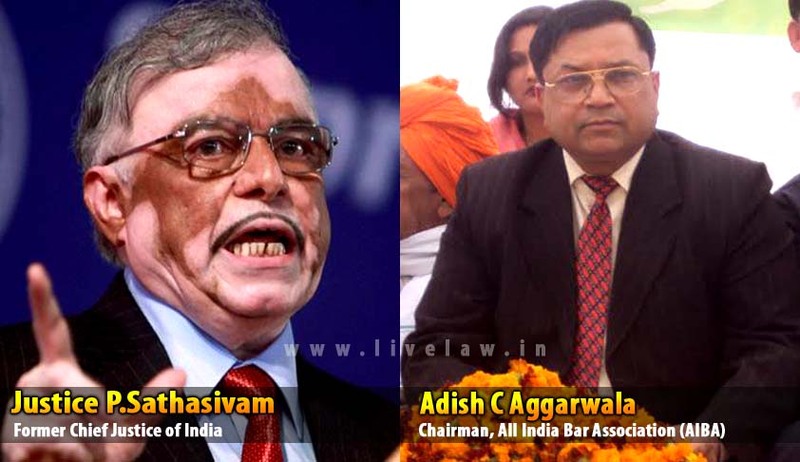 The NDA government’s reported move to appoint former Chief Justice of India P Sathasivam as the chairman of NHRC has not gone down well with a section of the legal fraternity. All India Bar Association (AIBA) chairman Adish C Aggarwala has filed a petition in the Supreme Court stating that the government’s move is ill advised and unethical, considering that when the BJP was in Opposition, it had repeatedly opposed post-retirement jobs for members of higher judiciary. He had earlier opposed appointment of Justice Sathasivam as Governor for the state of Kerala. The matter was mentioned today by the senior advocate in the court of the Chief Justice H L Dattu who said that it’ll be taken in due course. The challenge is based on violation of Art 14 on choosing Justice Sathasivam as the sole nominated candidate. He also challenged fitness and suitability of Justice Sathasivam for the post alleging his interest in corrupt activities and misuse of constitutional power by causing undue benefits to family members. He has also challenged the process of appointment to be arbitrary, whimsical and at the hands of the political ruling establishment with no options other than Justice Sathasivam. He has also sought direction for guidelines for appointment. The Chairperson of the Commission must be a person of unflinching integrity, who is competent to deal with cases without fear or favour, and can uphold the rights enshrined in the Constitution. He has to be a person with a reputation for independence, with no prior commitment, political leanings, loyalty or obligation. The copies of the complaint have been sent to other members of the selection committee which include Speaker of Lok Sabha Sumitra Mahajan, Home Minister of India Mr. Rajnath Singh, Leader of Opposition in Rajya Sabha Mr. Ghulam Nabi Azad, Deputy Chairman of Rajya Sabha Prof. P.J. Kurien.